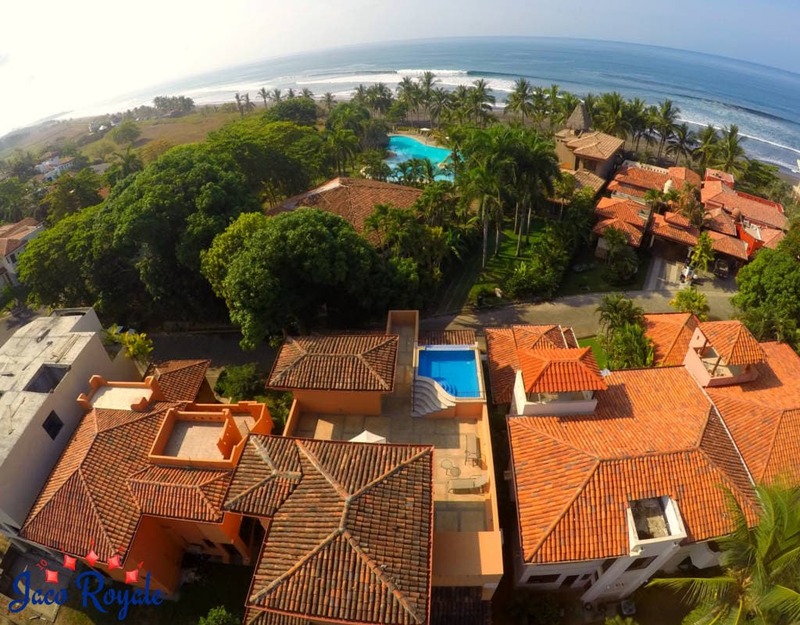 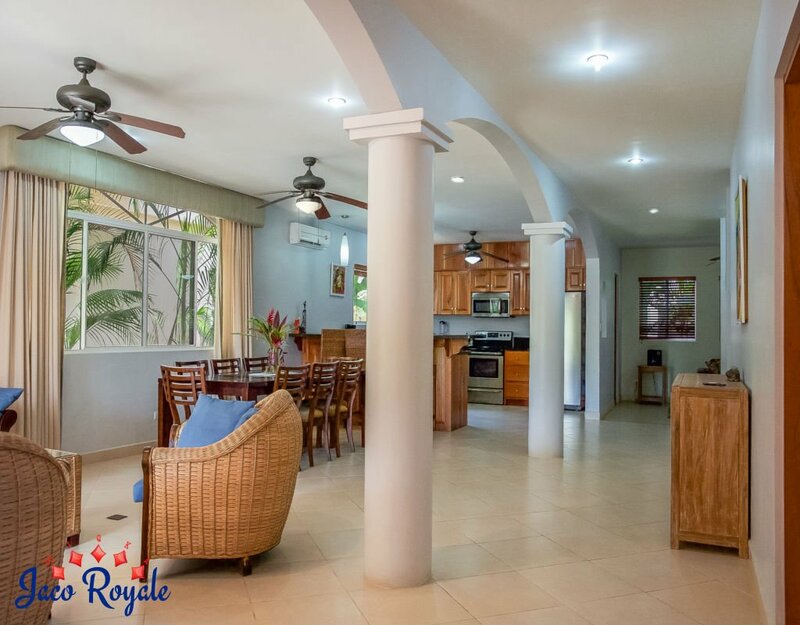 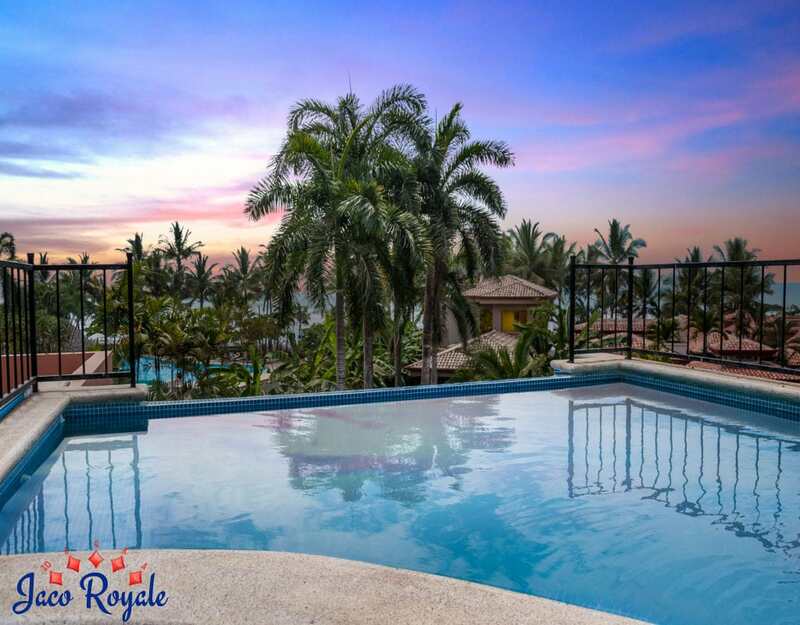 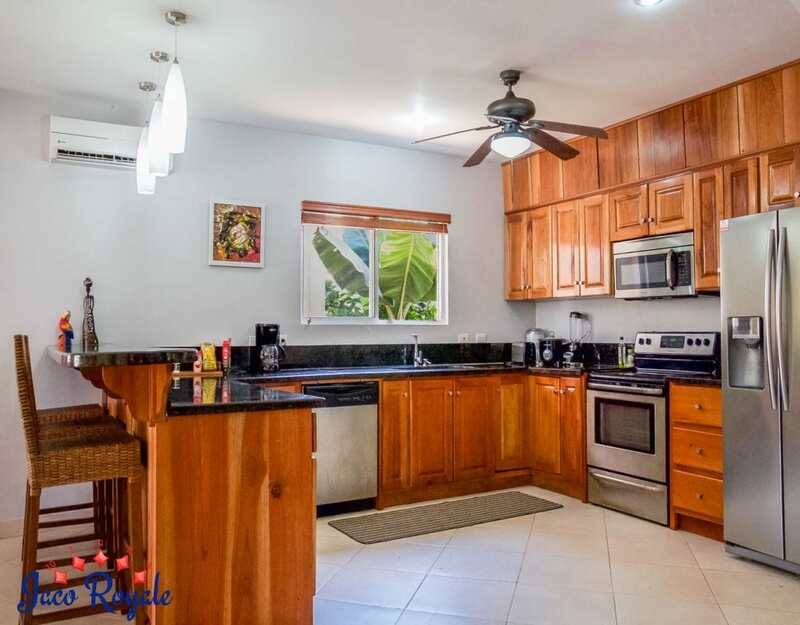 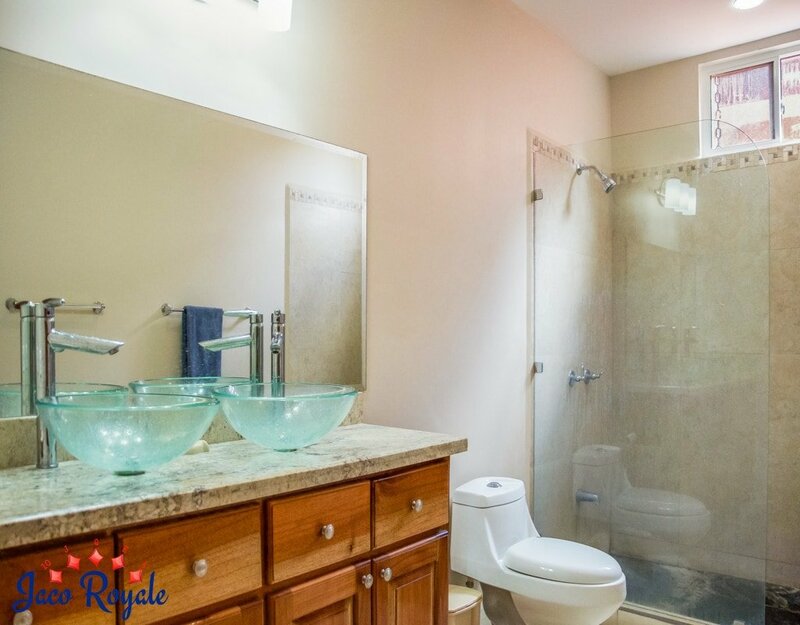 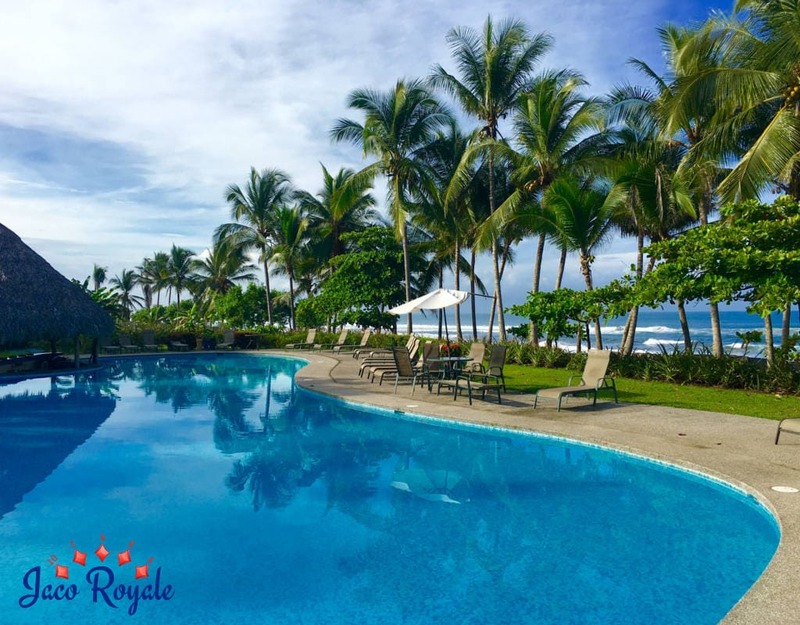 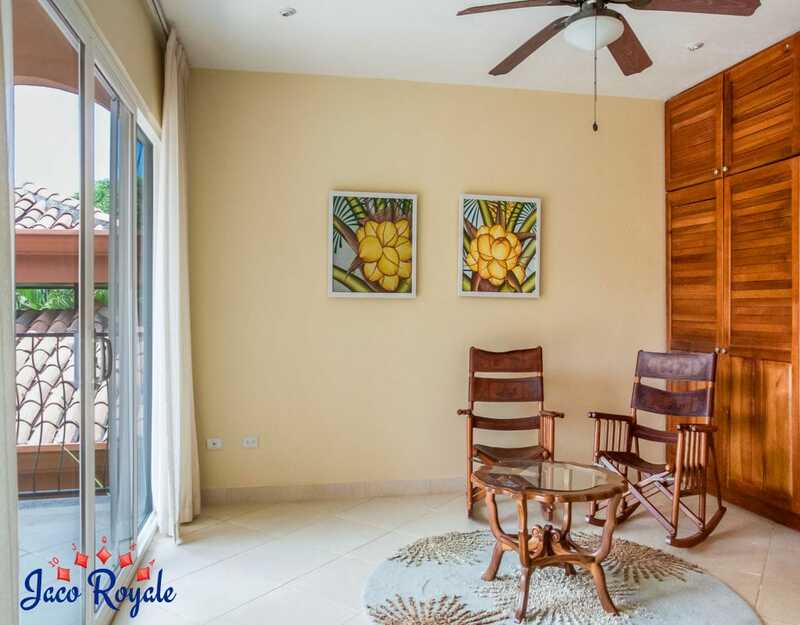 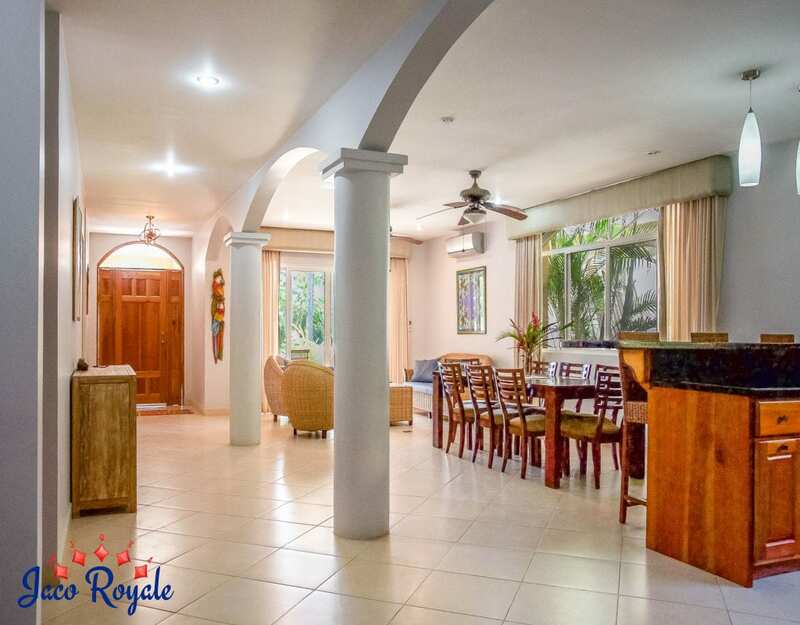 Located in the beachfront gated community of Hermosa Palms, Royale Green is a spacious self-contained paradise that offers amazing ocean views. 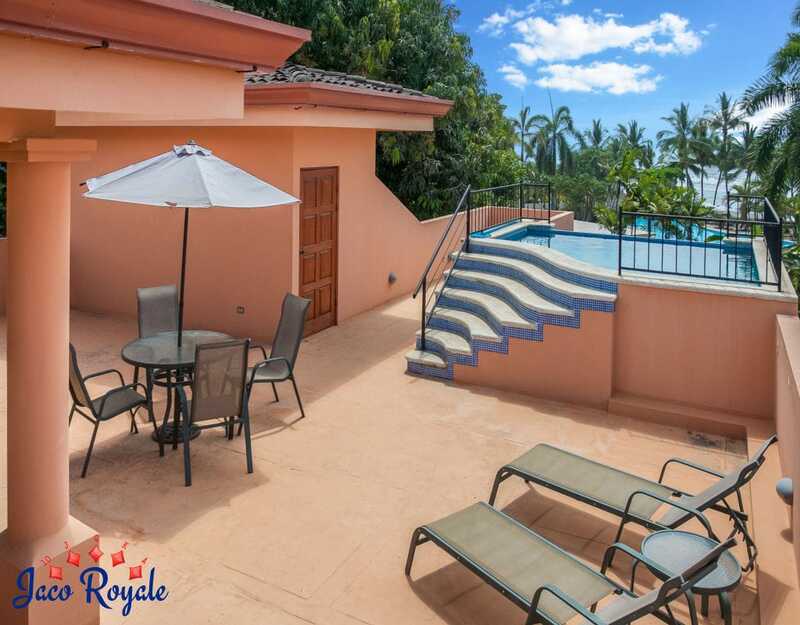 You’ll love staying ensconced In this splendid 4-bedroom, 4-bath villa, which is crowned by a beautiful rooftop infinity pool. 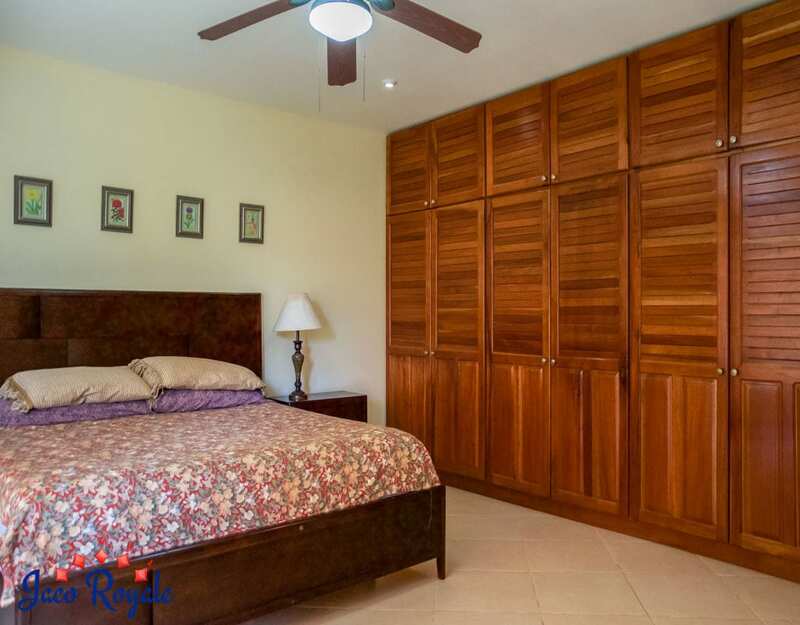 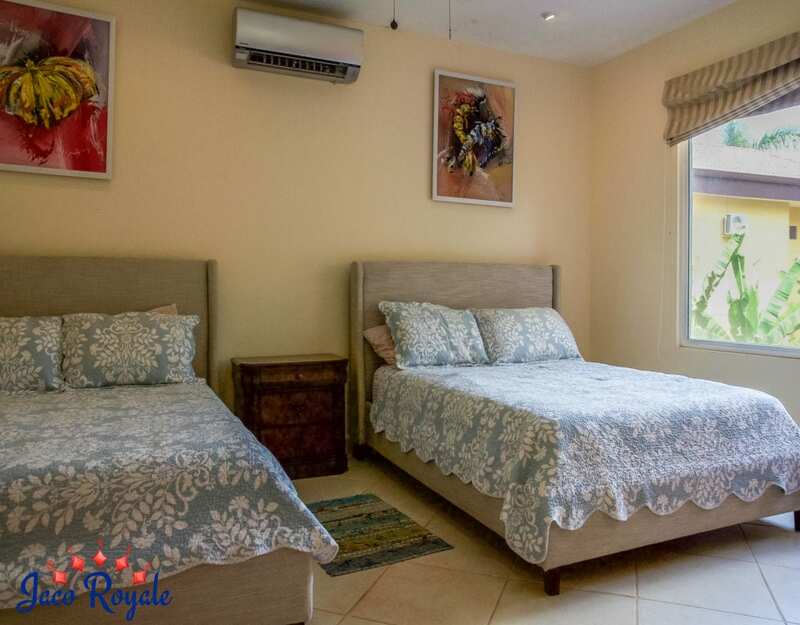 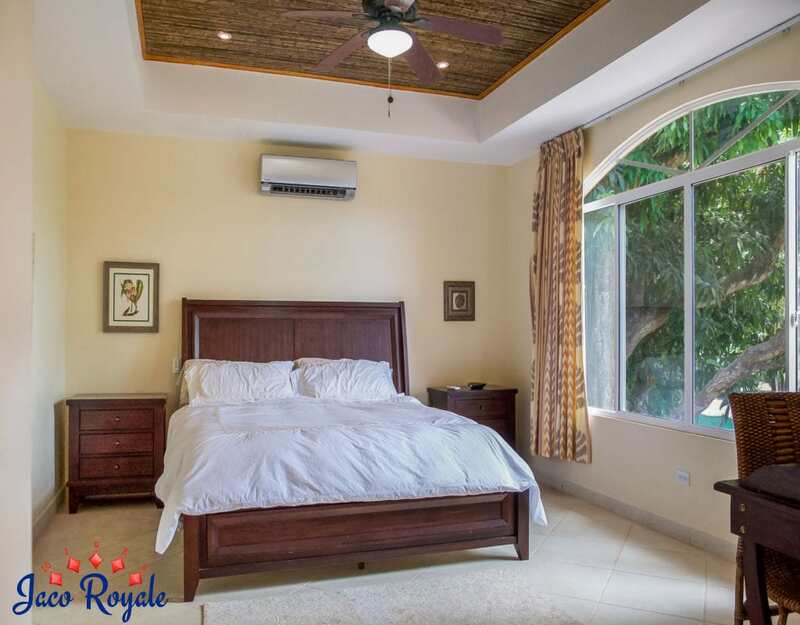 The master bedrooms on both floors are fitted with king-size beds. 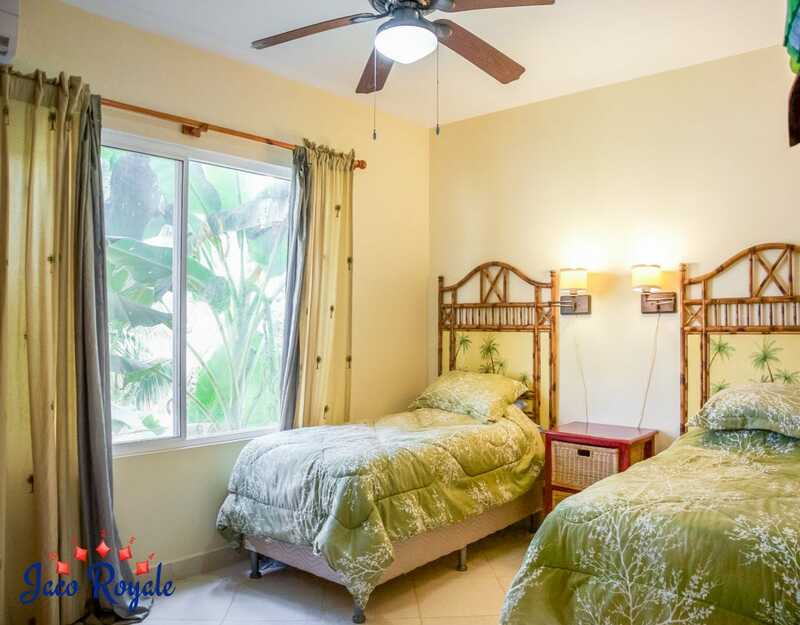 The two guest bedrooms have two queen beds and two twin beds respectively. 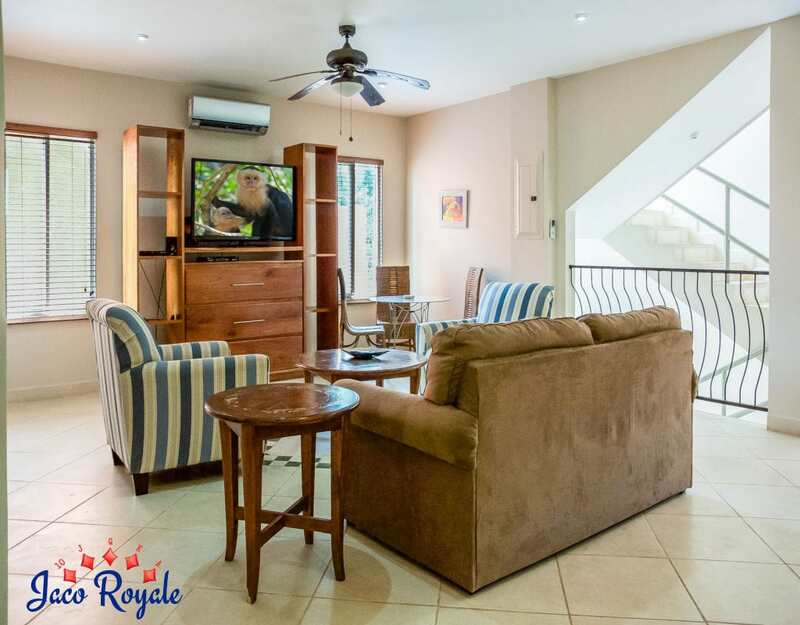 The family room upstairs is equipped with a big-screen TV, card table, and pull-out couch. 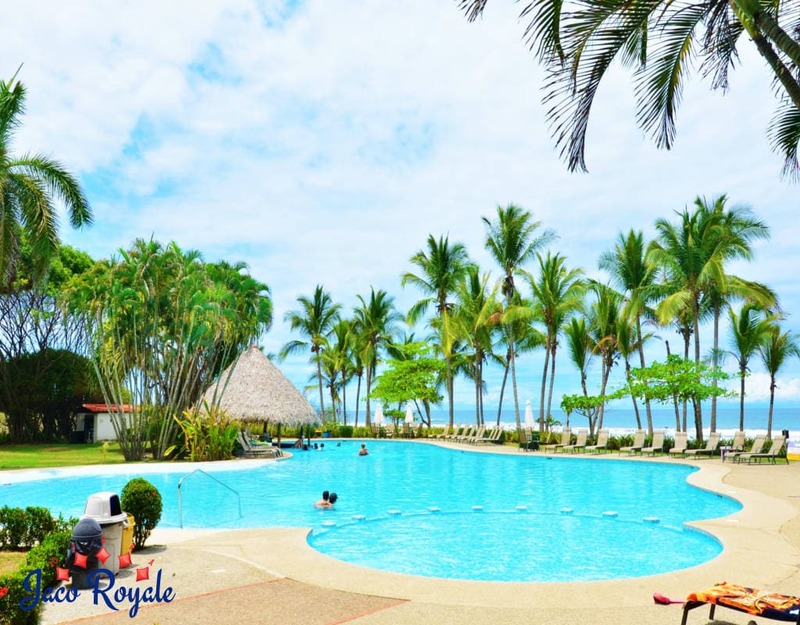 The top floor with an ocean-view pool, BBQ, a bar area with stools, lounge chairs, sets of tables and chairs under shady umbrellas. 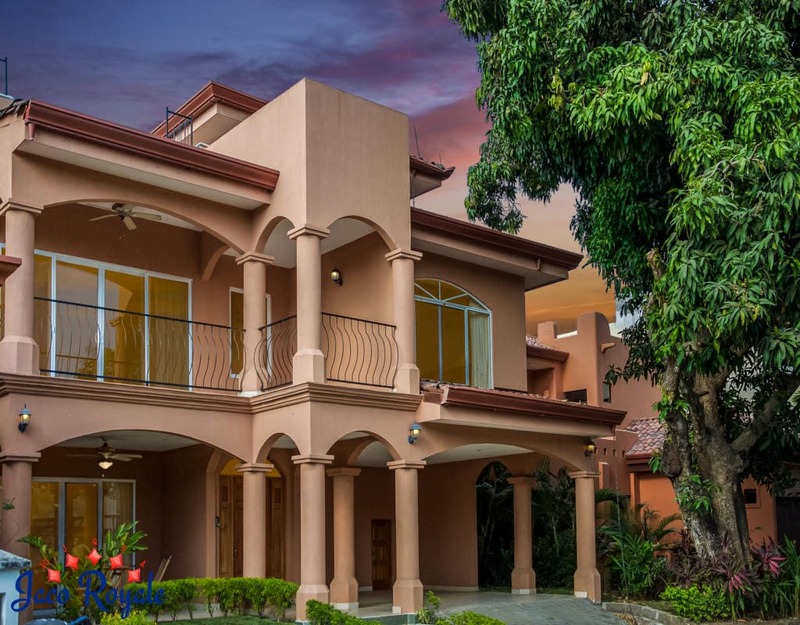 Because of the expansive living space, the villa is ideal for large groups and families. 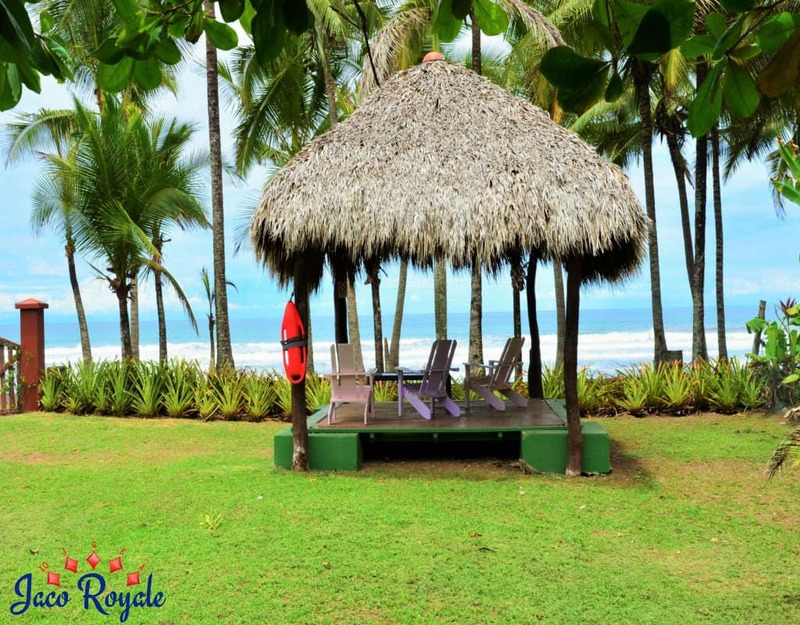 Feeling the pull of the beach? 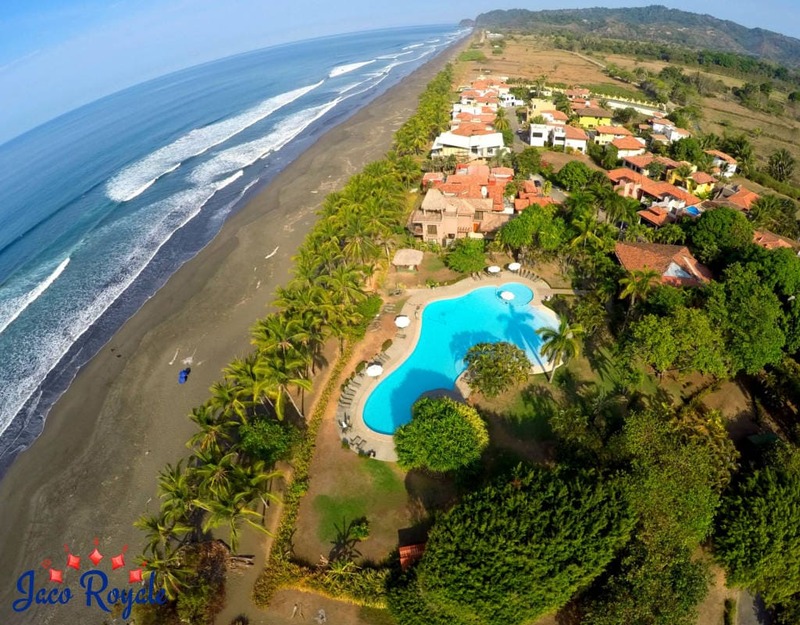 It is just a few minutes away and so is the beachfront community pool.